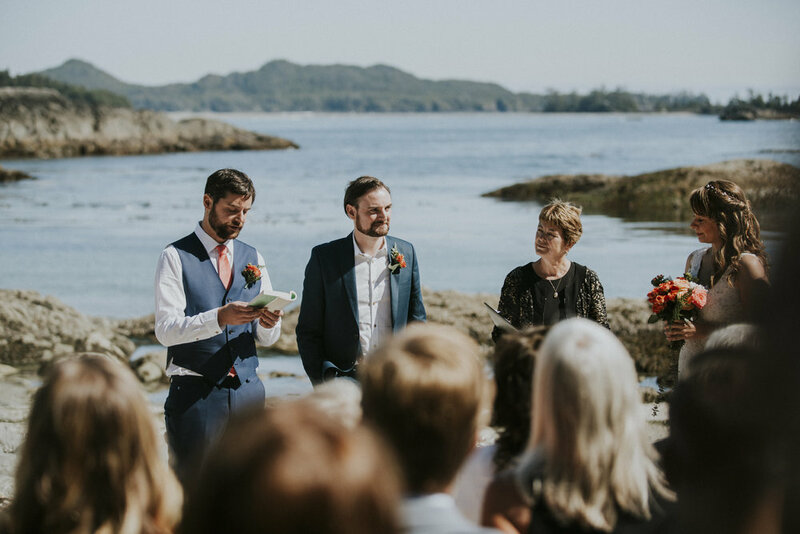 Having their wedding in Tofino was an easy decision for Kim and Brian. 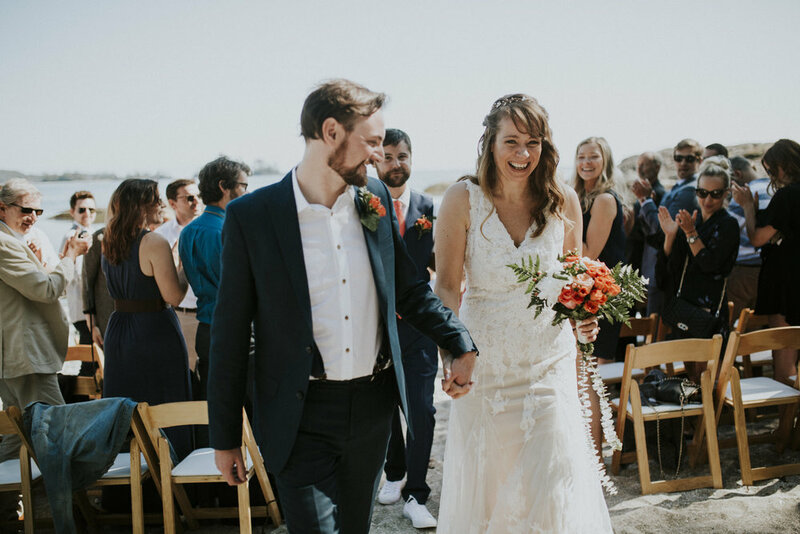 Lovers of the west coast, they wanted their wedding to be intimate and surrounded by natural beauty, as this was also the day their families would meet for the first time. Brian is from Ireland, and his family and friends made the journey out west to celebrate with Kim's folks. The Wickaninnish Inn was the perfect choice for the venue! Tofino is one of my favourite places on Vancouver Island. It was a real pleasure to get to document the love of such a genuine couple against this backdrop. The wind blown trees and the never ending coastline inspire me to create. It's beautiful to feel like you are on the edge of the world. 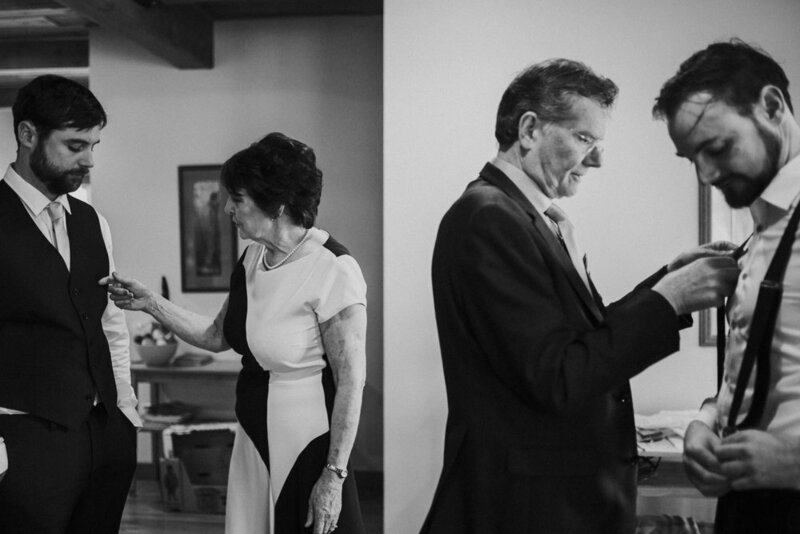 On this sunny day in June, Kim and Brian exchanged their vows. The ceremony and reception all took place on Shell Beach, at the Wickaninnish Inn. 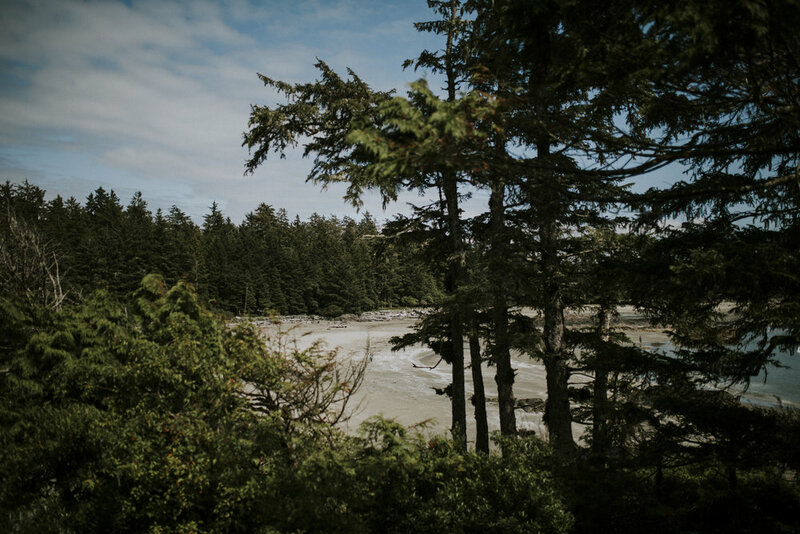 They dined under a beautifully decorated white tent with the rugged coastline that Tofino is so well know for, only steps away. The celebration continued under the light of the moon with a bon fire, and lighting paper lanterns.